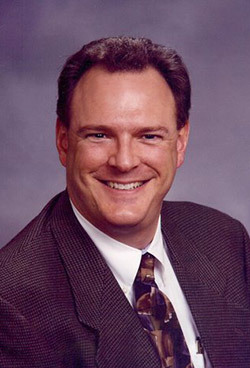 Dr. Jeffrey Teutsch attended the University of the Pacific, earning his undergraduate degree in Biology in 1985 and his degree in Dentistry in 1988. He is in the process of becoming certified in Dental Sleep Medicine, including the treatment of obstructive sleep apnea. Dr. Teutsch is a member of the American Dental Association, the California Dental Association, the Southern Alameda County Dental Society, and the Amador Valley Dental Study Group. He is the Co-Founder of the Pacific Dental Study Guild. Dr. Teutsch is a native Californian. He grew up outside of Castro Valley, in Palomares Canyon. As a child, he was involved in 4H and sold lambs at the Alameda County Fair in Pleasanton. He met the love of his life, Anne, in Stockton at UOP. Anne has a degree in Marketing from the Eberhart School of Business. They have two sons, Nicholas and Andrew. Nick is currently attending Chico State University and Andrew is a junior at California High School.